Giving up is easy. Hanging in is harder. But pressing on through pain, struggle, and hopelessness to ultimately emerge stronger and more optimistic than ever? That takes a special kind of moxie. Christina Kovacs has it. 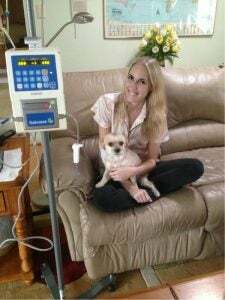 For nearly a decade, the 29-year-old Kentucky native has battled a variety of debilitating diseases that have repeatedly put her life on hold. But she never stopped fighting or searching for fixes, and along the way, she has used her own platform to educate and comfort others who suffer—and seek answers—just like her. Here’s how Kovacs took the steps to solve the mystery of her myriad illnesses, put her body and mind through the ringer to arrive closer to a potential cure, and learned to maintain an unshakeable spirit even on the worst days. Whether you’re a patient or caregiver, you may want to borrow these pages from her disease-fighting playbook. Like every life change that unexpectedly hits you, the timing of Kovacs’ first wave of illness wasn’t ideal. It was the fall of 2006, and she was just settling in as a freshman at the University of Louisville, far enough from her hometown of Ashland, Kentucky, that she could strike out on her own as a psychology major and newly independent 18-year-old. It was an exciting, stressful time, so when Kovacs started experiencing a slew of nasty stomach problems—aches, cramps, acid reflux, the works—it threw her life into a tailspin. Kovacs juggled her health issues with a full-time course schedule, a part-time retail job, and an increasingly packed social agenda. If deciding when to fuel up was difficult—“I couldn’t ever eat before class because I didn’t want to risk getting sick during it,” she says—pretending to act like a regular college student was practically impossible. The next diagnosis: postural orthostatic tachycardia syndrome (POTS), which occurs when you stand up after lying down and not enough blood returns to your heart. “They said it would answer all my problems,” Kovacs says. While certain medications (and a salt-heavy diet) did help regulate her blood pressure, none of her GI symptoms got any better. When even stranger problems started to show—heart palpitations, extreme sensitivity to light and motion, fainting, confusion, and trouble reading, among other frightening symptoms—Kovacs knew POTS wasn’t the full explanation she was looking for. She knew she’d have to keep working to find her fix. After graduating from Louisville (“It certainly was a tough four years!”), Kovacs decided to pursue a second degree at the Fashion Institute of Design and Merchandising in Los Angeles. But by the end of her first semester, her pain had become unbearable, so in January 2011 she moved back to Kentucky, where she worked part-time with special needs children while earning the rest of her degree online. While it was a bummer to leave FIDM, having mom and dad so close proved to be invaluable. When her father wasn’t driving her out of state to meet with various specialists, he was putting on his detective hat every night by firing up episodes of Mystery Diagnosis, a Discovery Health docuseries that aimed to help patients finally pin down their perplexing ailments. That September, while undergoing training for her job, Kovacs failed a basic depth-of-field vision exam. Concerned by the results, she saw a neuro-ophthalmologist, who found brain damage and referred her to a Dr. House–like specialist in Tennessee whose claim to fame is cracking medical mysteries. After two days of undergoing every test imaginable, the cause of five years of grief was revealed: chronic Lyme disease. But as Kovacs wracked her brain, she remembered that she indeed may have gotten bitten while playing flashlight tag with her friends in the woods during the summer of 2006. Back then she thought she had a summer flu; while antibiotics made her feel better, they only temporarily squashed her symptoms. 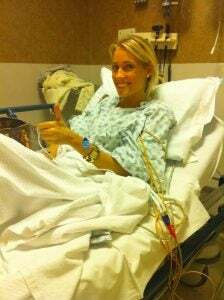 And the “flu,” which she now realizes was acute Lyme, eventually spread to her GI, adrenal, hormonal, and neurological systems. “Suddenly, everything made sense,” she says. The most common treatment for Lyme is a steady dose of oral antibiotics. 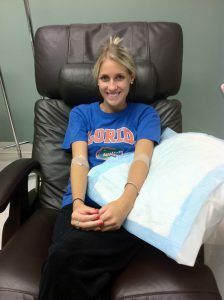 “But since so many of my symptoms were in my stomach, I just couldn’t keep the antibiotics down at all,” says Kovacs. The more she tried going that route, she says, the worse her already-fragile body responded. The backup plan: Desert Biological Series Therapy (DesBio), a relatively uncommon series of immunological treatments that essentially trick your body into recognizing an invader that hides from your immune system (like Lyme, or one of the additional infections Kovacs picked up along with it) so it can kill it. And despite a few stumbling blocks—namely a nasty 8-month bout with a bacterial infection called clostridium difficile that halted promising progress—Kovacs’ symptoms improved considerably over time. By the spring of 2014, the light at the end of the tunnel was brighter. But in January 2015, Kovacs relapsed. A slew of homeopathic treatments—including immune-boosting mushroom extracts—were somewhat helpful. But in early 2017, after routine stomach flares turned “excruciating,” Kovacs was dealt yet another blow: a diagnosis of Crohn’s disease. This created a serious dilemma: If she were to overly suppress her immune system with the recommended Crohn’s medications, she ran the risk of allowing infections to flourish, including the Lyme that was largely in remission. While she eventually proceeded with treatments to level out her topsy-turvy immune system—anything to feel better, she says—Kovacs spent the majority of the year trying to figure out how to get the right nutrition. Her logic: If she couldn’t exactly control her reactions to various medications, she could at least have some say over the food she put in her body. 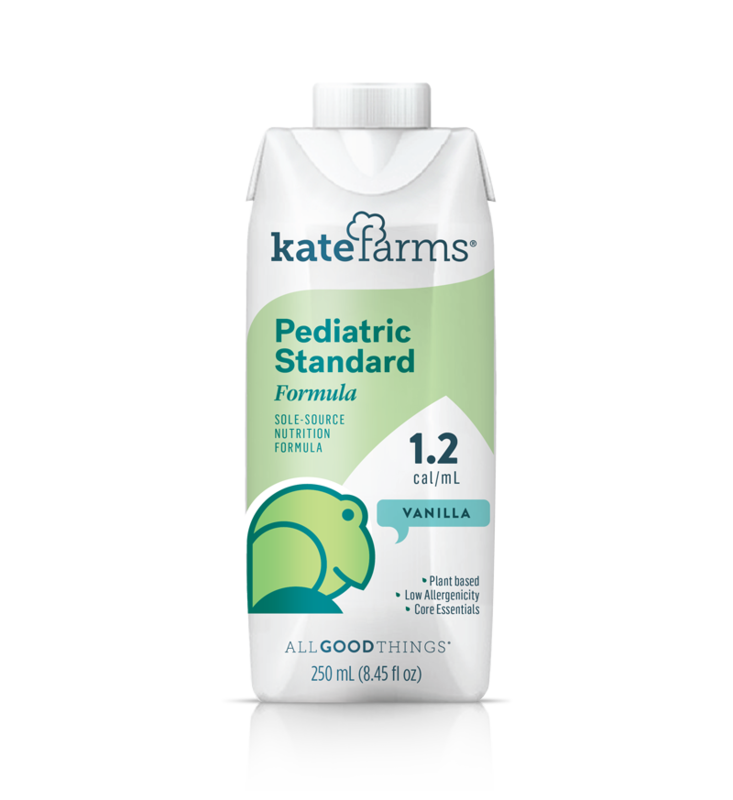 She searched for suitable, ready-to-drink replacement shakes, but they all contained “junk” like GMO corn syrup and other allergens that would surely trigger reactions. 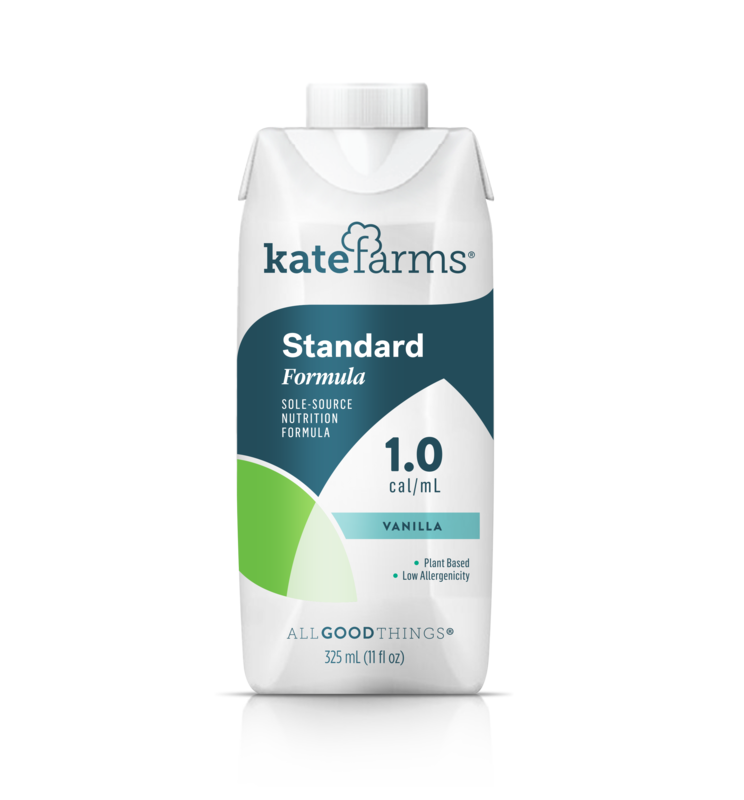 Before long, she landed on Kate Farms’ Peptide Plus 1.5, which proved to be a “lifesaver,” she says. In the meantime, she keeps busy dabbling in astrophotography and taking short walks outside with her beloved dog, Macy. But she dedicates most of her time to writing her blog, Lady of Lyme, which she started shortly after her diagnosis in 2011. “I did it mainly because I thought it would be a great way to keep everyone informed with what was going on with me,” Kovacs says.